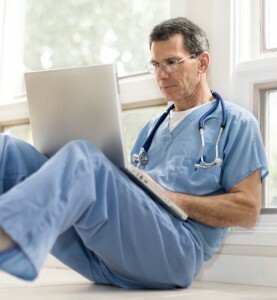 eConsultSD is a web-based secure communications tool for primary care physicians to consult with specialist physicians on a case-by-case basis. eConsultSD provides quick, efficient access to information to facilitate patient care for all community health center participating physicians. The electronic messaging system is available at no charge. eConsultSD is a secure, HIPAAA-compliant system that allows uploads of images, labs, photos and other files from the patient electronic health record. Generally, physician questions are answered by consulting specialists within 48 hours, allowing the primary care provider to address their patients’ needs faster than typical wait times for in-office appointments. In more than 90% of the cases submitted, the patient did not require a face-to-face visit with a specialist. Read more information for Primary Care Providers or Specialists. To sign up to use eConsultSD as either a primary care provider or specialist volunteering to consult with your colleagues, contact Adama.Dyoniziak@championsfh.org. To utilize the system, login with your assigned user name and password and follow the instructions. For questions, contact Adama Dyoniziak at Adama.Dyoniziak@championsfh.org or call 858.300.2780.